The Residence Palace – The “Castle above all Castles”! 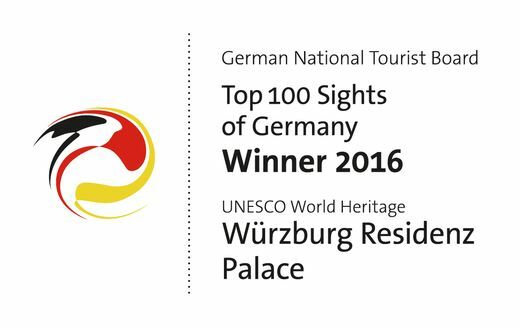 The Residence Palace is one of Europe’s most renowned Baroque castles and has been registered as a UNESCO World Cultural Heritage Site in 1981. 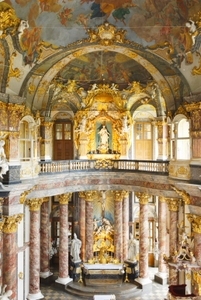 Principal work of South German Baroque-era architecture. Under the rule of Prince-Bishop Philipp Franz von Schönborn, the construction of the Residence began in 1719 and the foundation stone was laid on May 20,1720. It was built based on the design by Balthasar Neumann, with help from L. von Hildebrandt of Vienna and M. von Welsch of Mainz. Not destroyed in 1945 were the magnificent staircase with its self-supporting vault and the brilliant ceiling painting by the Venetian artist Giovanni B. Tiepolo. White hall with ornate stucco ornamentation by A. Bossi. Imperial hall with splendid furnishings and frescos by G. B. Tiepolo. Garden hall with ceiling painting by Johann Zick. Reconstructed are the “Imperial chambers” furnished in very ornate rococo style from 1740 – 1770. The State Gallery, a branch gallery of the Bavarian State Painting Collections, is located in rooms 23 to 29. Works on display focus on the great centuries of Venetian painting. The 300th anniversary of the laying of the foundation stone will be celebrated in 2020 and will include two festive nights. An exquisite artistic and culinary programm will be offered in the splendid rooms of the Residence Place. The Residence Palace is closed on January 1, March 5, December 24, 25 and 31, 2019. The Imperial chambers of the southern wing ("Südliche Kaiserzimmer") including the Mirror Cabinet are only accessible on a guided tour. The Hofkirche Church in the southern wing of the Residence Palace can be accessed freely during general opening hours as long as there are no church services. The Residence palace is accessible for wheelchair users. The Hofkirche Church is an architecturally stunning room in the southern wing of the Palace; furnished very elaborately (frescos by Byß, altar paintings by G. B. Tiepolo). 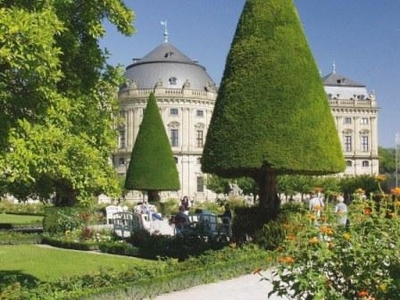 The Hofgarten (Court Garden) of the Residence Palace was designed to include the Baroque-era ramparts and features numerous rococo sculptures and cast iron gates by J. Georg Oegg. Open daily until sundown or at least 8 pm, no fee. Festung Marienberg (Fortress Marienberg)Alte Mainbrücke (old bridge)Dom St. Kilian (cathedral)Pilgrimage Church "Käppele"Churches "Marienkapelle" and "Neumünster"